Solar energy is set to become the cheapest source of electricity in many parts of the world within the next 10 years, with the cost of photovoltaics (solar panels) continuing to decline. In fact, in some parts of the world, solar energy would become cheaper than the heavily subsidized fossil fuel energy, says a report. India plans to install 100GW capacity of solar power by 2022, while China aims to achieve 100GW of solar power capacity by 2020. The global installed capacity of solar electricity has increased by six times to 135GW in 2013 from 23GW in 2010. To achieve the target of cheaper solar power in India, power and coal minister Piyush Goyal said he envisages 2019 to be the year when power production from thermal plants will have doubled to two trillion units, that from renewable sources will have risen five times to 300 billion units, and coal output will have increased 1.5 times to 150 billion tonnes. Emphasizing the need for long term targets for the energy sector, the minister said he was confident that the country would not have to import coal two-three years down the line. Indian government is working on innovative measures which will help in cutting down the cost of solar power by 25-35 per cent to Rs 4.50 per unit by December 2015. "You will see solar power in this country at Rs 4.5 per unit," Power, Coal and New and Renewable Energy Minister Piyush Goyal said at a CII event. "We are looking at bringing in innovative financing solutions and improve the counter party risk and bring down the cost of solar and wind energy," Goyal added. At present, solar power tariff is about Rs 6-7 per unit. "We are looking at bringing in innovative financing solutions and improve the counter party risk and bring down the cost of solar and wind energy," he added. 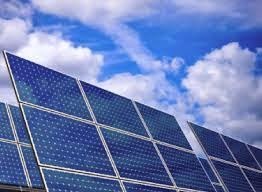 The minister said that there may be escalation in solar power tariff in the future but it would not be significant. "There may be 1 per cent increment a year in the next 25 years but it will still be less than what we are paying today," Goyal added. The government has also engaged PricewaterhouseCoopers as consultant for formulation of a plan to scale up solar energy in the country. The work undertaken by PwC include assessing the power scenario and analysing the efficacy of ongoing initiatives by the Ministry of New and Renewable Energy as well as bringing out a realistic demand projection and capacity addition plan. The central government plans to increase the solar power capacity to 1,00,000 MW by 2022 from the current 3,000 MW. On the fossil fuel-front the minister said that the government is working at increasing the production of coking coal used in the steel industry.